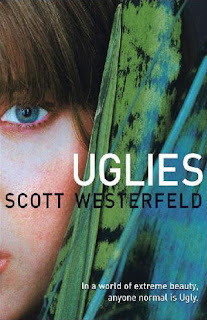 This weekend I'll be finishing Uglies, the first book on the Uglies series created by Scott Westerfeld. This is actually one of the books I pledged to read this year for my A to Z challenge. A lot of people like this series and I want to see what it has that makes it so special.